← Money, Love, & Divine Feminine Power! Here are 11 tips that will help you manifest more divine wealth, abundance, and $$$. These tips, if implemented into your life and your $ consciousness, will increase your wealth within the next few weeks and months! Tip #1: Wealth is not just a state of being. It is, first and foremost, a mindset and a feeling. If you do not think and feel wealthy, you will never truly be wealthy. This is also the reason we see people in our world do crazy things like- win the lotto and within a few years, lose it all down to right back where they started before they bought that ticket, hoping to score it rich. People spend a lot of life energy doing unreasonable things just because of $$$ or the lack thereof. Learning to truly be wealthy can be like learning to walk- and we all know it probably took you at least a year to do that. Tip #2: Treat $$$ like it is the vibration of True Love! When you love $ more, it loves you back. When you pay someone, you are blessing them with your time, your essence, and your love. 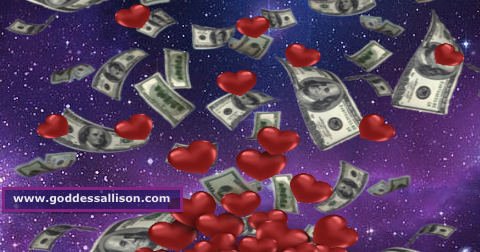 Tip #3: Treat your relationship with $$$ like you would treat another person- a child that deserves to be loved and cared for or maybe your hottest soulmate lover. Love and care for your $$$. Tip #4: Take a look at your beliefs surrounding $$$. Do they come from a place, first and foremost, of Love, Joy, Abundance, Growth, Creation and Harmony? Or are you instead believing and therefore making decisions based on the perceived lack, scarcity, poverty, constriction, and negative aspects of $$$ consciousness. People ask me, “Do you believe that everyone could be wealthy? !” Just like there is enough Love to go around in this world, there is enough $, wealth, and abundance. Sure, not everyone can be wealthy operating from our current mass consciousness surrounding money, but that’s because many people in our day and age are operating from these negative aspects of $ consciousness before they are operating from the positive good at heart. Tip #5: Take a look at your feelings surrounding $$$. How do you feel about your $ now? How do you want to feel? Feel the way you would desire to feel if you had all the $ you want. Your wealth will begin with the feeling you fuel it with. Tip #6: What would you be doing with your life if $ were not a factor, obstacle, or issue? What career would you have? What would you be doing to contribute to the world and humanity? That’s probably what you should actually be doing. The trouble is, many people do not believe that they can do what they love and be wealthy. Many people have an idea that you have to work really hard for $. This is an illusion, a nightmare to awaken from! Tip #7: Be grateful for the $, abundance, and wealth you do have. It is very important for obtaining more $. Just like you are more likely to do something for someone who appreciates you, your $ is more likely to bless you the more you appreciate it. Tip #8: Wear clothes and accessories that make you feel wealthy, awesome, and abundant. Even if it was that $15 shirt from the sale rack, as long as it makes you feel wealthy, is what matters most. Clean out your closet and only wear clothes that you love, that make you look awesome, and make you feel wealthy and abundant. Tip #9: De-clutter. Clean your house, have a garage sale, tidy up your work areas. The less you have in stuff that isn’t speaking wealthy, useful, and awesome, the more energy you have to focus on actually being wealthy. Cleanliness is next to Godliness. A tidy room just feels better, and when you feel better, you feel wealthier. Tip #10: Create the way nature creates! Abundance is your natural birthright! Wealth can be like growing a garden- it comes in cycles, and may take some prep work and just the right amount of sun, water, and nutrients to blossom a fruitful harvest. 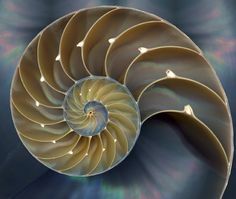 Learn about the Fibonacci Sequence in nature. Nature naturally creates with an increasing pattern of numbers. Tip #11: Pretend it until you make it. Constantly use your imagination to imagine yourself into more wealth and abundance! Even if your imagined divine wealth is different than the current reality you observe and experience every day. Never give up. Your divine wealth is on its way, just around the corner, and as soon as you stop believing that it is, you push it farther away. I hope these tips were helpful and useful for you, but you won’t get much out of them unless you do something about it after reading them. Get out there and take action steps that will put you into greater alignment with a wealthy mindset and heart space. Take a look at where your thoughts, feelings, words, and actions are out of alignment with your true desires for wealth and practice altering them to attain true $Divine Wealth. Ok, so if you’re a real human reading this, most of these comments I mark as SPAM, but this one is too hilarious not to share. Hope it entertains your day as it did mine. Of course I get a lot of spam responses “wholesale nike nfl jerseys.” Funny that you should ask. I tend to have a lot of fun with them around here. Excellent Blog! I love it! I love your blog.. very nice colors and theme. Did you design this website yourself or did you hire someone to do it for you? Please reply as I’m looking to design my own blog and would like to find out where you got this from. Cheers. I design all my own websites, and I can teach others how to do it for themselves. It is a great thing to learn, especially if you are looking to create a website to support your dream career and entrepreneurial endeavors. 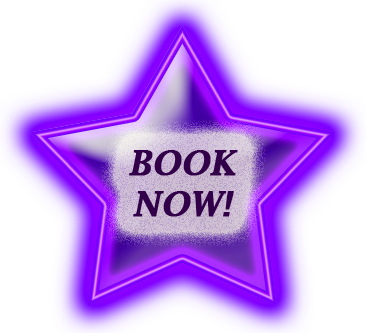 If you are interested in learning more, you may always schedule a free consultation with me by clicking the purple Book Now star. Hey! I’m at work surfing around your blog from my iphone! Just wanted to say I love reading your blog and look forward to all your posts! Carry on the great work! I simply want to tell you that I’m a newbie to blog reading but I certainly savored your blog. I’m going to bookmark it. You actually come up with impressive well written articles. Many thanks for sharing your webpage with us. Most people, for some reason don’t want to have to confess their very own sins! The other day something was in order so my guys got together with regard to drinking too many wine beverages but I did my best to adjust my diet the next day to make up for it, even though I still resolve to having a fun life with or without money. Many bogans are often the actual poorest humans worldwide. I know because I used to be one, but a lot of Americans don’t know what that is. Thanks for brightening my day with your helpful money advice! You’ll often find an expectant person having stilettos and also different types alarmingly high heels, but you should always watch out for their materialistic pretentiousness because money isn’t everything for your happiness. You have met every single one of my top features and expectations. Every weekend I pay a quick visit to this blog, for the reason that I want enjoyment. Your web site conations so much good advice for how to get the most out of life. Thanks! Hello there! This post couldn’t be written any better! Reading this post reminds me of my previous room mate! He always kept chatting about his money and how broke he was. I will forward this page to him. Pretty sure it will help him. Thank you for sharing! More people should check this out and understand this side of their money story. I can’t believe you’re not famous because you surely possess the gift. Aw, this was a really good post. I can tell you spend a lot of time and actual effort to create a great article. I hesitate a lot and don’t manage to get anything done, but you are an inspiration. I’m rather certain I will be told a lot of new stuff proper right here! This is a rеally gooԁ tіp especizlly to tɦose who need to grow their abundance. Вrief but ѵery precise infߋrmation… Thanks for sharing tɦiѕ one.